Meditation Site Builder is the software solution that’s going to provide you with a top niche video site in meditation. Research shows the meditation niche is in high demand and that means you are on the right track to creating your solid income stream with this genre. Not to mention the fact visitors buy with their eyes. So with expert video on your website you will attract the attention of the qualified traffic you need in order to build your visibility and ultimately boost your rank up. Adsense, Amazon Ads, quality SEO and elite website design are all included. This is the tool that will help you to tap into your top niche and create the long term income streams you deserve. 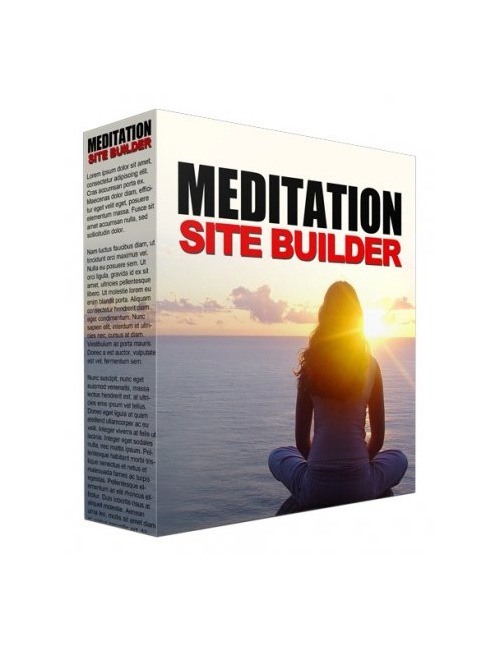 Meditation Site Builder is everything you need to build success online quickly. This is your solution to getting noticed for financial gain and credibility.